The designer incorporated traditional items from Hispanic culture. She also added little details like drink parasols, made from doilies. 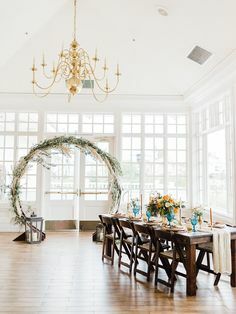 If you’re looking for design inspiration to add some cultural flare to your wedding, look no further. 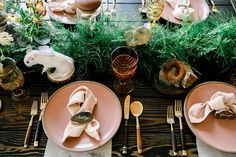 The designer of this inspiration shoot paired bright pastels with gold in the various decorations and dinnerware. White lace and papel picado are integrated throughout, complimenting the dress of the bride and the floral arrangements. Fun elements such as maracas and a piñata give an entertaining flair to the event. 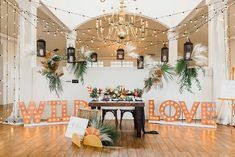 The bright and warm feel of these design elements are sure to spice up your wedding! 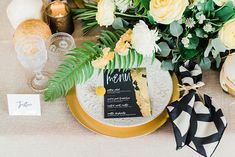 For more images from this design inspiration shoot, click here. 7. Accessories: Veil, floral headpiece, ring, drop-earrings and bracelet from Sandra Nicole’s personal collection; Heart necklace is designer’s own. 8. Cake: Hey there, Cupcake!